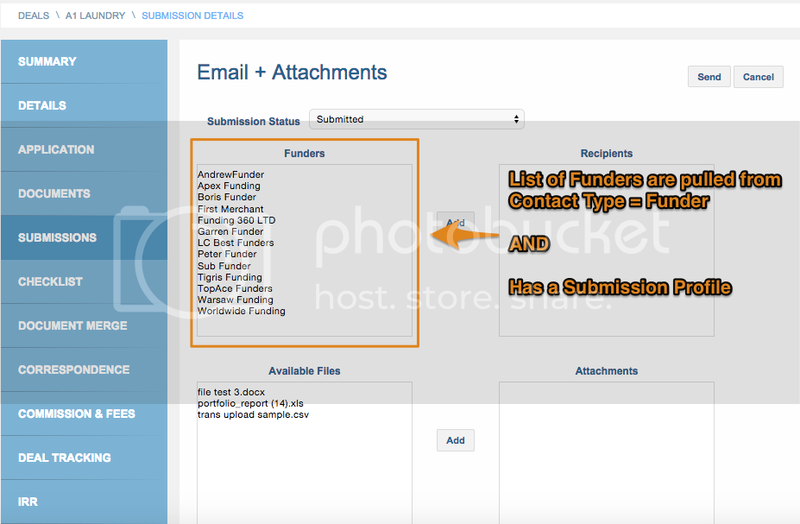 On the Submissions page, you can choose to send deal information to Funders via an email with attachments or an email with a link (password required) to view the attachments. When you choose either option, you will be taken to the page below where you'll see a list of Funders for you to select as Recipients. 1. Have a Company in MCA Suite that is a Funder as a contact type. 2. Make sure the Funder has a Submission profile. 1. Enter in the address (or addresses separated by commas) to receive the deal information via the Submission function. 2. You'll need to setup a universal password to be shared with the Funder to access the file if choosing Email + Link. The password is required for security purposes. When MCA Suite sends an email with a link to the Funder, the Funder will need to use the password to access the files. If you have additional questions about the Submissions feature of MCA Suite, please check this overview tutorial for more information.